Whenever someone wins the EuroMillions jackpot, other players and the media are immediately aroused and a frantic search begins. 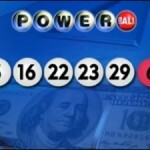 The goal is to reveal the winner’s identity and in most cases this happens one way or the other, because the lucky player can’t simply resist the temptation. 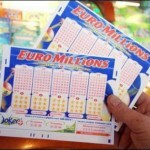 Every now and then, someone manages to stay under the radar and one of the most exciting cases is the one of the £113 million lottery winners who succeeded in avoiding detection for almost 2 months now. Plenty of speculation was made and most of those who followed the events, concluded that it is only a matter of time until the winner’s identity will be known. For a couple of days, the winner probably contemplated all his alternatives and decided not to step forward and claim his prize. This only increased the interest and there were even a couple of people who claimed to be the rightful winners of the massive jackpots. Peter Lowery was the first to spread false rumors, by claiming that he is the winner, only to be followed by a Coventry pensioner who said to have matched the numbers and had lost the ticket. 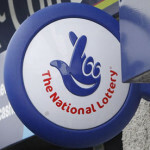 Exactly 10 days after the draw took place, Camelot received a phone call from a player who claimed to be the owner of the winning ticket and the head of security was sent to his location. Given the fact that the person was capable to show the ticket and explain where and when he bought it from, the arrangements were done in a matter of hours. By the end of the day, he was already £113 million richer and his identity was still secret, despite the efforts made by the media to lift the veil of secrecy. The winner opted for the lump payment, which means that a significant part of the money will be subtracted even before taxation. This will still leave him rich enough to collect thousands of pounds in interest every day and all this money will make it increasingly difficult for the winner to stay anonymous. On the bright side, the most difficult obstacle has been dealt with and all it takes now is moderation and a cool head to avoid detection. Camelot diligently works with the winners and their experts help them manage their newfound wealth and also avoid publicity if they choose so. 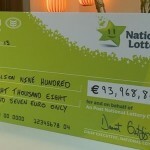 The lottery officials have achieved excellent results in the past when they helped other lottery winners remain anonymous. Pretty much all the key elements that concern winners are covered by their specialists, including wills and taxes. Dealing with the pressure associated with significant gains is not something to dismiss as insignificant, as many winners have succumbed to it.